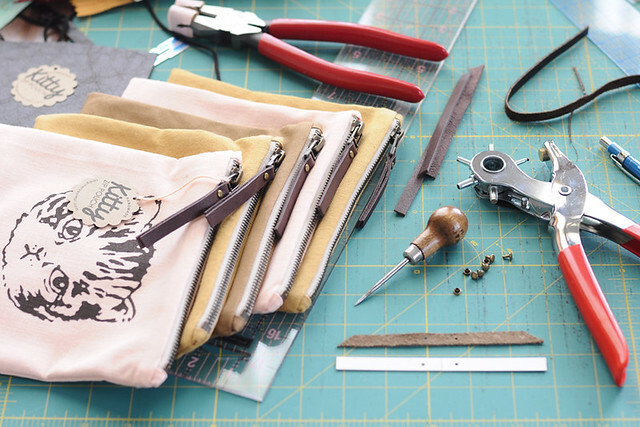 i am having fun adding special details to these new screen-printed kitty pouches. 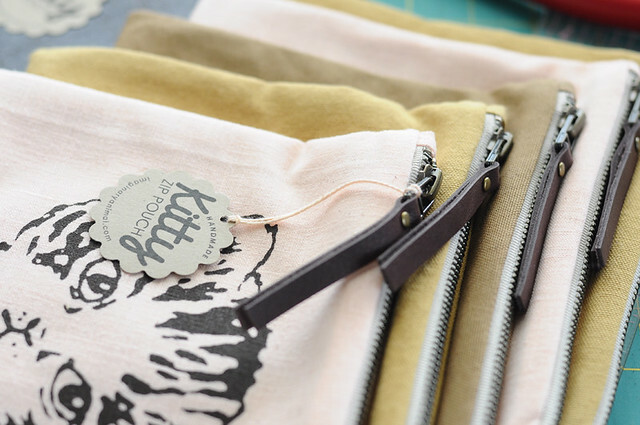 i found some deluxe metal zippers with an antique brass finish and decided to add leather pulls, so i searched around for mini rivets to match. oh, and we printed our logo on the lining, too... renegade shoppers get first dibs!